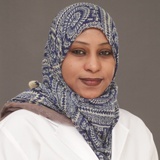 Dr. Sana Mohammed Osman obtained her Bachelor degree from University of Khartoum in 2008. She has more than 4 years of experience as General Practitioner in Sudan. Dr. Sana Mohammed can converse with her patients in English and Arabic.